Will You Make a Good Living With an X Ray Technician Salary? The medical profession is increasingly becoming a sought-after career destination as people look to move into a growing job area. The recession forced many people out of a career and even people straight out of high school have to consider moving into a “recession proof” profession. One popular choice is the world of radiology, not only because an x ray technician salary is great, in terms of making a decent living, but also because the medical field offers stability that doesn’t exist in many parts of the professional arena. One of the main benefits, of course, is the earning potential. 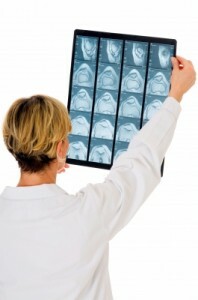 With a median annual wage of $54,340, an x ray technician salary offers financial stability. Another benefit is job security. According to the Bureau of Labor Statistics, employment of radiologic technologists is expected to grow 28 percent through 2020. This increase in need is largely caused by an increasing aging population, who typically suffer more breaks and fractures, which need to be imaged via x ray. The work itself is seen as a benefit to many people. It’s a rewarding profession for those who enjoy working with patients and helping people. The medical arena is one that allows professionals to make a difference in someone’s life on a daily basis. The working hours may be considered a drawback to many people. Because most radiologic imaging professionals work in hospitals, evening and weekend shifts may be a necessity. This includes overnight emergency shifts. An x ray technician salary will usually be a bit higher for those working night and evening shifts. In exchange for working odd hours, many hospitals offer a pay differential to balance out the quality of life for employees. The profession also requires a bit of stamina. Techs can spend entire shifts on their feet. It may also require turning and lifting patients. A minor concern for some is exposure to radiation. However, exposure is minimal thanks to the protective equipment available. An x ray technician salary is directly related to the amount of education and experience a particular professional has obtained. Most entry-level techs earned an Associate of Applied Science degree from an accredited institution. These programs typically take two years. Some universities also offer a bachelor’s degree, which is a great option for mid-level professionals who want to take their career to the next level. There are also one-year certificate programs, but those are typically reserved for medical professionals working in a similar area who may want to become qualified as an x ray technician. Pay will generally increase based on a combination of education and experience. While the median wage is around $54,000 per year, the top 10 percent, or those with years of experience and a bachelor’s degree, earned upward of $76,000 a year. The lowest paid techs earned around $36,000. In major metropolitan areas, pay is usually higher to reflect a higher cost of living. The most important factor to consider when looking for an educational program is accreditation. An accredited institution must meet certain benchmarks to ensure graduates are ready to enter the profession. Such programs will also properly prepare graduates to pass any state certification exams that may be necessary. Some students will need special scheduling accommodations and would do well to choose a program that offers evening and online courses. However, a program offering classes completely on line might not be a good bet. Some hand-on classroom experience in a lab setting will better prepare students for a career in the x ray field. Paying for school is another important consideration. Many colleges offer grant and scholarship programs that can help with the added financial burden of attending classes. There are also government backed loans available through some colleges.